Search For "Real Estate" Companies in Merrick, New York - Click Here Now! It Is Critical To Choose The Right Long Island Home Inspector For One Of The Most Important Emotional Decisions And Financial Investments That You Will Ever Make. Home Buying Is Filled With Stress And We Like To Take That Doubt Out Of The Home Buying Process. 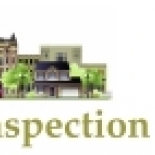 Frank Torre Of Torre Inspection Services Can Ease The Worries Associated With Property Buying And Selling By Providing You With One Of The New York And Long Island Area’s Most Reliable And Knowledgeable Home Inspection Service. Our Expertise In Long Island Home Inspections Will Help You To Make An Informed Decision About The Home Buying Process You Are Making. Residential And Commercial Expertise Including Manufactured Home Inspections. Field Instructor For Sunrise Career, Inc Where I Help Train Their Home Inspection Students. “We’re Not Big Multi-Inspector Firm, So Your Inspection Will Be Conducted By The Owner Of The Company. And Nobody Treats You Better Than The Owner! We Provide The Personal Touch – Whether In Person Or Over The Phone We Take The Time To Explain Our Report. Computerized Reports In PDF Format – Easy To Understand And Secured By 128 Bit Encryption, Sent To Our Clients By Email . Inspections Will Take From 2 Hours To 4 Hours To Complete On Most Residential Homes. You Will Also Be Given Book On How To Maintained Your Home And Save Energy. If You Are Buying, Selling Or Having A Problem With Your Home, Let Us Help. Certified Independent Third Party Stucco & EIFS Inspector Level 1. We Always Fulfill Our Fiduciary Obligation To The Client In The Role As A Real Estate Inspector. You Will Also Be Given A Useful Web Site For Estimating Repair Costs. Torre Inspection Service, LLC in Merrick is a company that specializes in Real Estate Agents And Managers. Our records show it was established in New York.